RF co-site interference has been around since the advent of wireless communications equipment and the problem is getting worse as the need for new RF/Microwave communication systems grow. 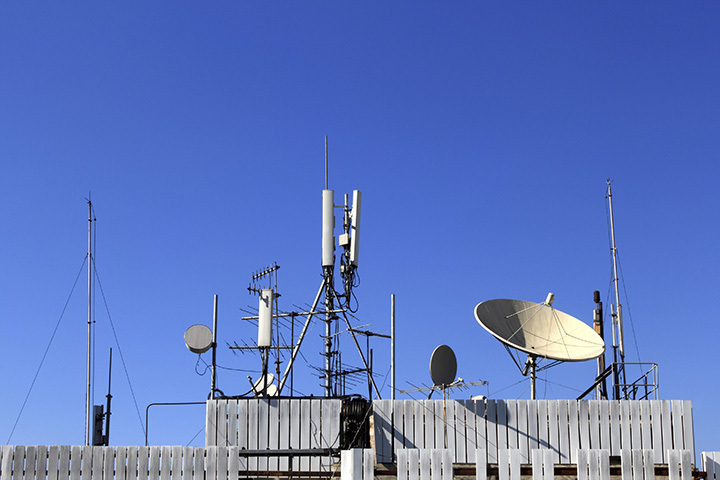 It is not uncommon to find ten or more individual wireless systems installed within close proximity of one another on a single rooftop. It has become more important than ever to have an understanding of RF co-site interference, what the terms mean and what tools are available to address the problem. One thing is certain; RF co-site interference is not going away and will become worse over time as new wireless systems proliferate the environment. RF co-site interference occurs when two or more co-located RF systems affect one another negatively. This normally occurs when two or more RF systems are operating physically close to one another (within several feet to hundreds of feet) and they are operating in such a way that one of the system transmitters negatively impacts one or more system receivers. Chasing and resolving these RF co-site interference problems often becomes a “reactive” endeavor instead of a “pro-active” exercise. The up-front study is strongly recommended to determine potential sources of RF co-site interference before wireless equipment is deployed. Will the new RF wireless system that I am fielding potentially cause other co-located or nearby RF systems any problems? Will other fielded RF wireless systems that are nearby or co-located negatively affect my new RF system? Where am I installing this equipment and how “RF congested” is the local environment? Is this a fixed site or mobile application? What kind of antennas are being used at or near the site? Are these omni or directional antennas and what are the antenna properties and specifications? What is the frequency range of my RF wireless system and how close am I in both frequency and location to other RF wireless systems operating nearby? What transmit power level(s) is my RF wireless system transmitting and what modulation schemes am I employing? What is my RF wireless system’s receiver sensitivity level and what kind of RF filtering do I need? Does my transmitter have the ability to desensitize or jam my receiver or other collocated RF receivers that are close by? These are but a few of the important questions to ask when fielding a new RF wireless system. The answers to these questions will help you focus on the issues at hand and will bring attention to potential weaknesses in the RF wireless system design.